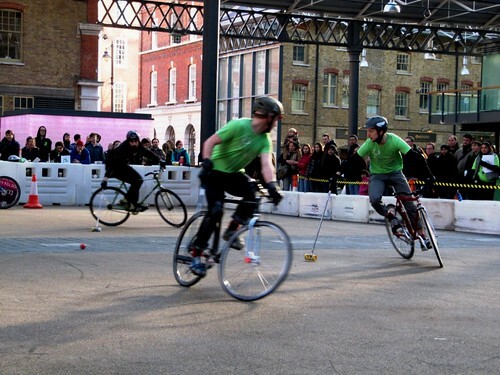 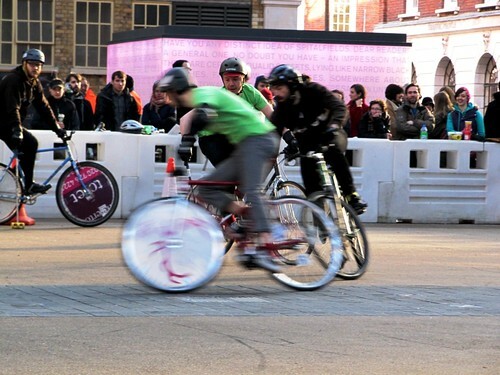 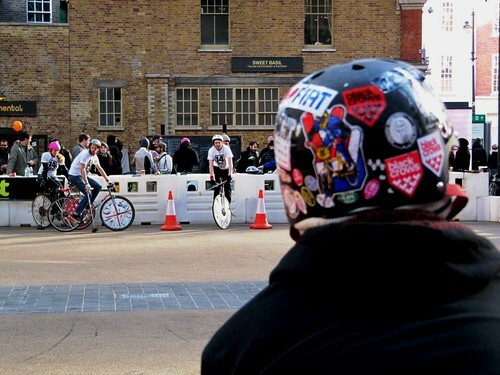 Just a few snaps from this afternoon's bike polo demonstration tournament at Spitalfields Market, which is part of this weekend's East Festival. 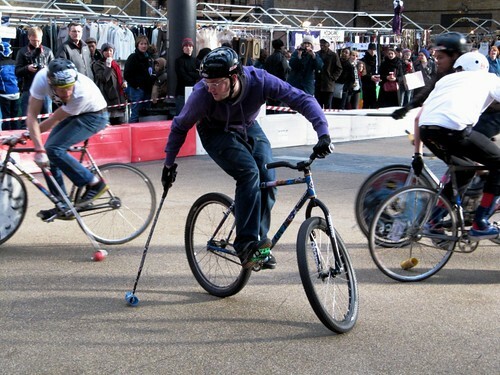 And gosh, what a fast-paced sport it is! 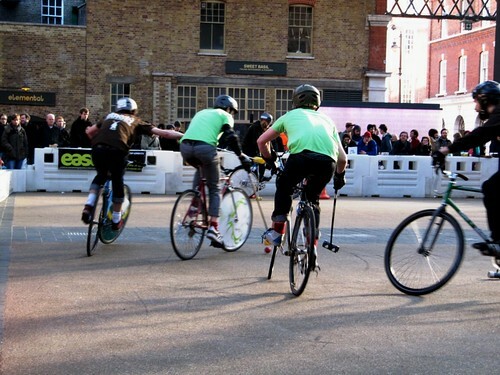 There was a tangible sense of community amongst the participants and their cheering friends, a rare enough thing amongst cyclist these days, and the boys who pushed things a little too far and got a bit stroppy on the court were soon shouted down and kept in check. 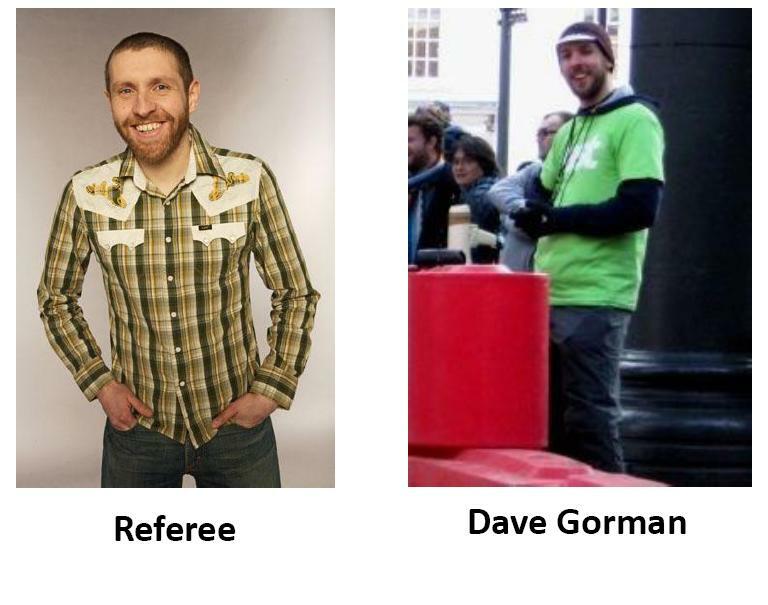 Strangely, the entire tournament semed to be referee'd by BBC comedian Dave Gorman. 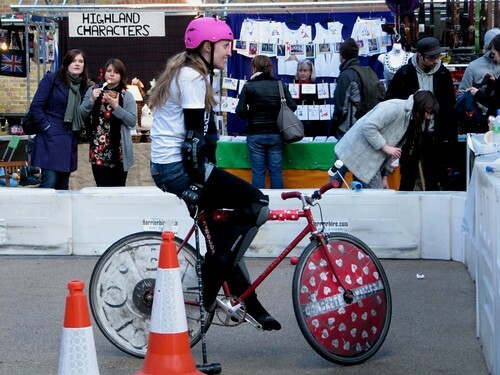 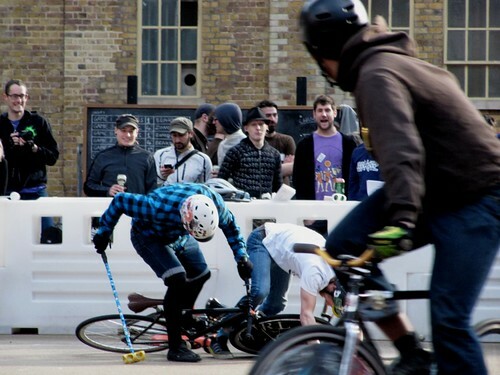 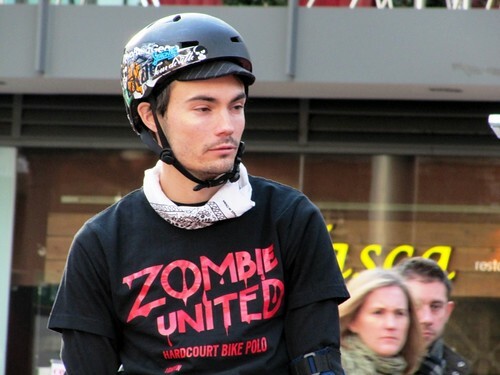 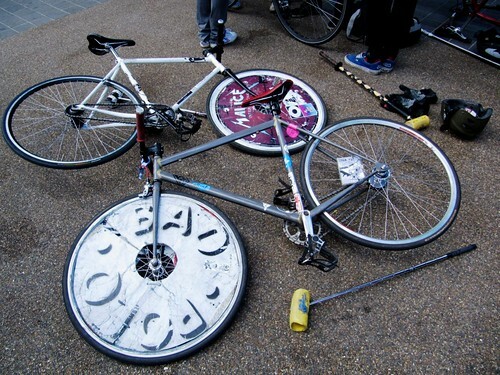 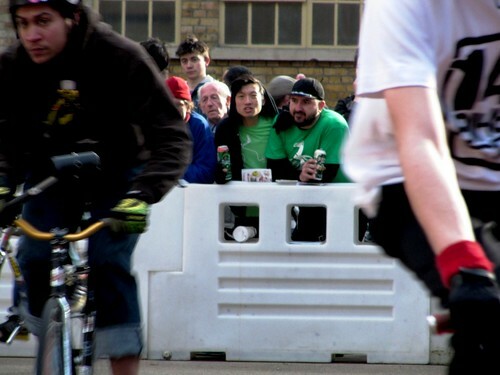 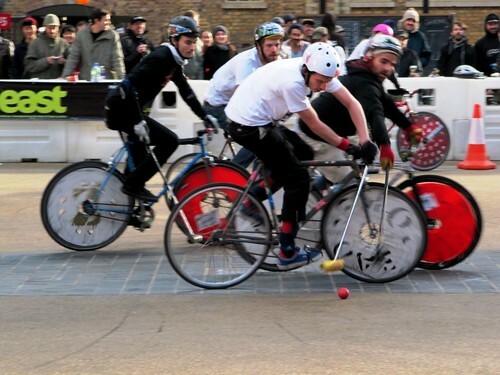 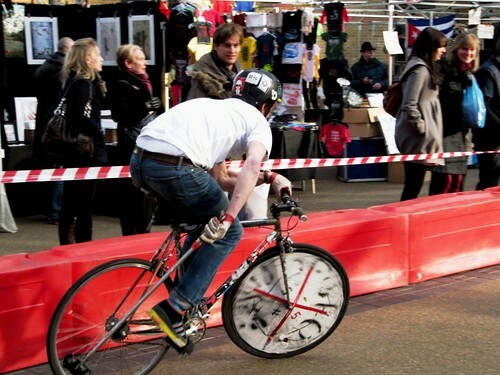 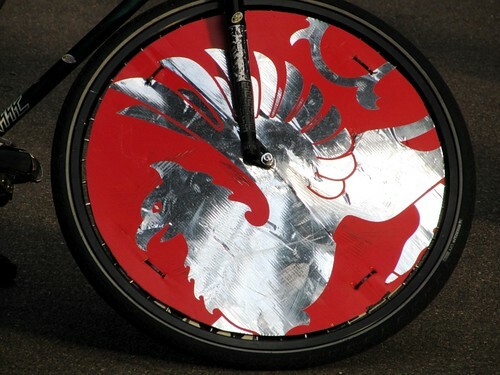 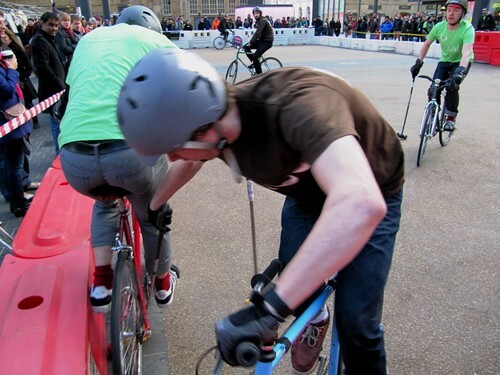 If you're a fixed affictionado and fancy playing bike polo yourself see here. 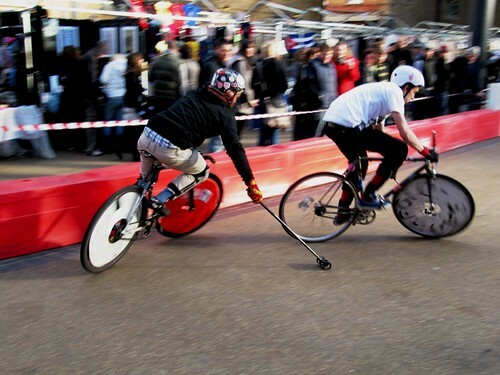 Team Cosmic beat Malice in a close-run final. 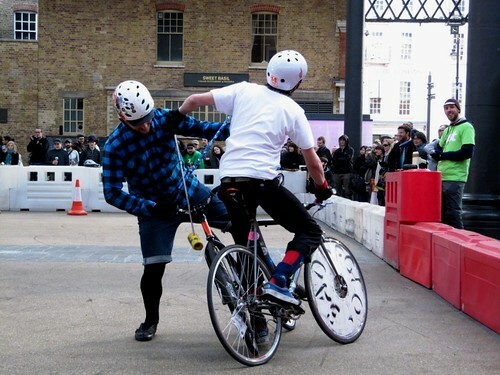 3rd place saw 14co and team Beard tie. 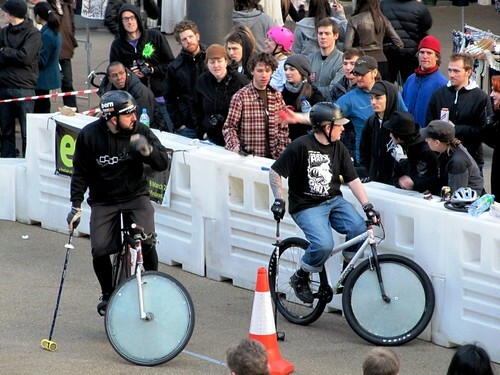 Ace pictures - looks like a seriously fun event!